Dirk Beveridge - A New Voice. A New Energy. A New Outlook. One of the Country's Most Outstanding Speakers, Dirk Delivers a New Voice, a New Energy, and a New Outlook. Dirk's Research & Writing Is Creating A New Movement Of Innovation Throughout The $4 Trillion Wholesale-Distribution Industry. Dirk's high-energy engagements leave new thinking, execution and a trail of success wherever he goes. Dirk's presentations are unparalleled. He delivers original, proven, and often disruptive thinking. His energy and passion for excellence are infectious and inspires audiences to step away from the zone of comfort to unleash the urgency of change, growth, and innovation. 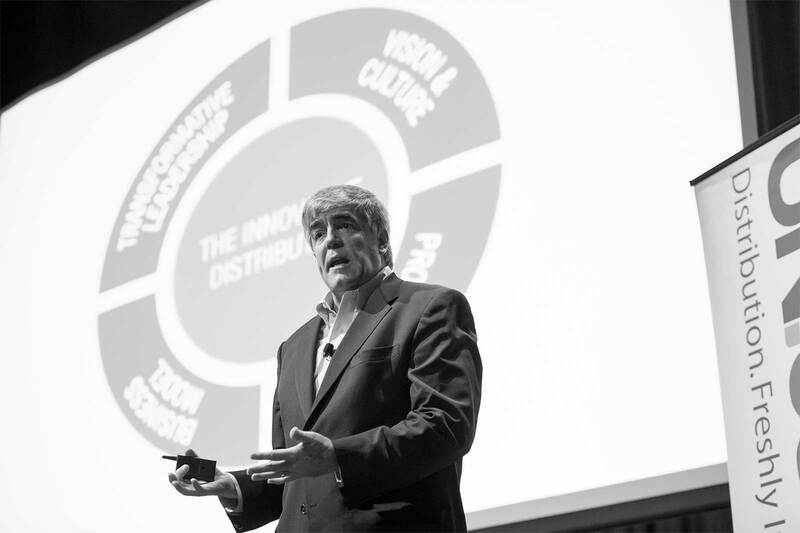 Dirk is routinely asked to speak on innovation, business strategy, sales, and leadership. 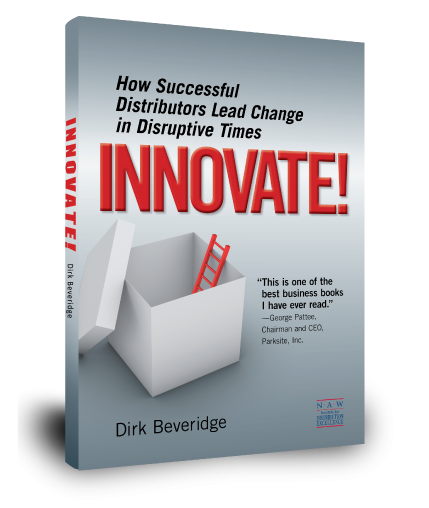 Dirk Beveridge’s New Book Reveals: The Innovative Distributor™ Model So You Can Create A Relevant And Sustainable Business In Disruptive Times. This “indispensable” “must-read” is sparking long overdue conversations while setting a bold agenda for the nation’s 300,000 distributors and their supply chain partners. Join the Beveridge movement! Get access to 50+ high-impact videos and other resources that will guide you to create a relevant and sustainable business.